1094-C Transmittal Form that must be filed with form 1095-C. This transmittal form has 3 unique pages. Priced by the form set. We are currently shipping 2018 forms. Image may reflect prior year images. Use these forms to file the Affordable Care Act for 50 or more employees if you will be e-Filing. ACA reporting is mandatory for the calendar year and is the responsibility of the employer. 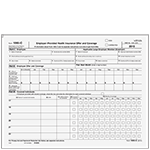 1095-C Employer Provided Health - (landscape style) You may print a copy of this form as a hardcopy of your records if you like. You may mail a copy of this form to each recipient or you may opt to send them the portrait style form described below (Full Page Recipient Form) Note: This Employer Provided Health form is NOT formatted to fit in a double window envelope. 1095-CCON05 Continuation Page - (landscape style) Used for individual employees that need more than 6 covered individuals listed on their form. 1095-C Full Page Recipient Form - B95CFPREC05 - (portrait style) You may use this page to mail to the recipients if not using the landscape style form described above. You may print a copy of this form as a hardcopy for your records if you like. If you opt to send this portrait style form, mail it in envelope 95DWENV05/DWENVS05. Instructions are on the back of the form. 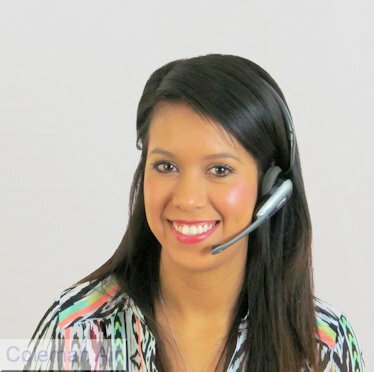 Three 1094-C Transmittal Forms (three copies of all three forms) are included with any order of 1095-C forms -- order additional transmittal forms if three is not enough. Use envelope 95DWENV05/95DWENVS05 with the portrait style recipient form. Use this preprinted laser form to protect form 1095-C. Perforated 5 1/2"
Priced by the sheet. We are currently shipping 2018 forms. Images may reflect prior years. Use these forms to file the Affordable Care Act Health Coverage for Self Insured Employers with less than 50 employees if you are reporting with paper forms. Who is a self insured employer? Self-insured employers, also known as “self-funded”, control what is covered through a customized plan. The employer has liability for all claims and pays for each claim. ACA reporting is mandatory for the calendar year 2015 and is the responsibility of the employer. 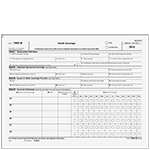 1094-B Transmittal Form (landscape style) to be used with Form 1095-B and mailed to the IRS. 1095-B Full Page Recipient Form (portrait style) to be mailed to recipients. See info on landscape style recipient form in next paragraph. Instructions are on the back of the form. 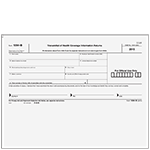 1095-B Health Coverage Form (landscape style) mail to IRS with 1094-B Transmittal. You may opt to send a copy of this form to the recipients instead of the portrait style form. The Health Coverage Form is not formatted so that it will fit in a double window envelope. You may also wish to order a copy of this form to file for your records. 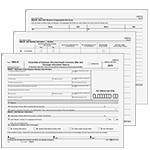 You may need to order 3 sets of this form (for IRS, for recipient, for your file). 1095-B Continuation Page (landscape style) Used if an individual employee needs more than 6 covered individuals listed on their form. Three 1094-B transmittal forms are included with any order of 1095-B forms -- order additional transmittal forms if three is not enough. Use envelope 95DWENV05/95DWENVS05 for portrait style recipient form. Use this pre-printed laser form for printing form 1095-B. Folding perforation at 5 ½. Full page form with instructions printed on the back. A 1095-B form must be issued by a self-insured employer with less than 50 full-time employees (including full-time equivalent employees), or by the insurer to employees. Order one sheet per employee. 1094-B transmittal form to be used with Form 1095-B and mailed to the IRS. Can be used for both 1095-B or 1095-C. This is a blank paper front and back. NO INSTRUCTIONS are included. Folding; perforated in the center. Perforation is not meant to be torn. Priced by the sheet. Se are currently shipping 2018 forms. Images may reflect prior years. Use this blank laser form to print Form 1095-B; folding perforation at 5 1/2"
Blank laser deposit slips. THIS ITEM IS NOT PREPRINTED, if you need your company and bank information preprinted please see our item number 81089114. Each 8 1/2" x 11" sheet contains one laser deposit ticket. Use this blank deposit ticket with your accounting software, laser printer and MICR toner to produce complete deposit tickets. If you are using Quick Books order item number 81089114. The Check Security Features for all preprinted, laser, inkjet, and blank check stock include the highest of security features. Please click to see more for further details. Use this #10 double window envelope to mail statements, invoices, credit memos and more. Envelope measures 9 7/16" x 4 3/16". 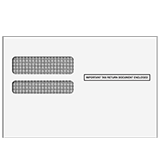 Use this double window envelope when mailing checks. It measures 4 1/8" x 8 7/8".